Spring is in the air! With the arrival spring, we often get the itch to start spring cleaning our homes. Before you scour and scrub your home, what about spring cleaning your body – the home of your soul? 1) Drink more water. Staying hydrated is so important. Our body is made up of 75% water, we lose 3 quarts on a daily basis through respiration, sweat and urine. We need to make sure we are replenishing our body with it’s water supply so it can function properly. When we starve our cells of water, they start to complain. Staying hydrated can prevent premature aging and help our skin look dewy and plump. There is no sense in applying expensive night creams and anti-wrinkle creams if you aren’t keeping your cells hydrated from the inside out. Drinking water also helps with weight loss, eliminates headaches and pain, and fatigue. Remember, water in the form of coffee, tea (except for herbal tea), juice etc. doesn’t count toward your daily intake. Those drinks do just the opposite and dehydrate you. -dress up your drink: make your hot or cold water more interesting by adding things like: a squeeze of lemon or lime, fresh berries, cucumber slices, goji berries, chia seeds with a squeeze of lemon, green superfood powders, an herbal tea bag or fresh mint leaves. 2) Eat more raw foods. 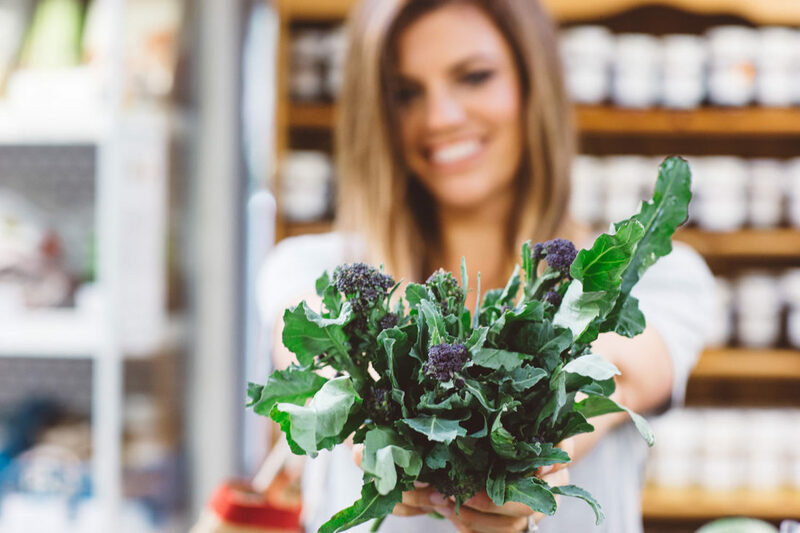 As the weather get warmer, trade in some of your warming, cooked winter vegetables for some local and seasonal raw vegetables, fruits, and sprouts. When eaten raw, they are full of all their vitamins, nutrients, minerals and enzymes, which can be lost in the cooking process. Raw foods are energizing because they bring into the body their own supply of enzymes, so the body doesn’t have to pull from its own stash to process the food. If totally raw vegetables don’t appeal to you, steam them very lightly so they still have some crunch. Raw foods are alive, meaning microorganisms can live on them. Highly processed foods are dead foods, they take ages to go bad or spoil. If we eat dead, junk food, we start to feel like junk. 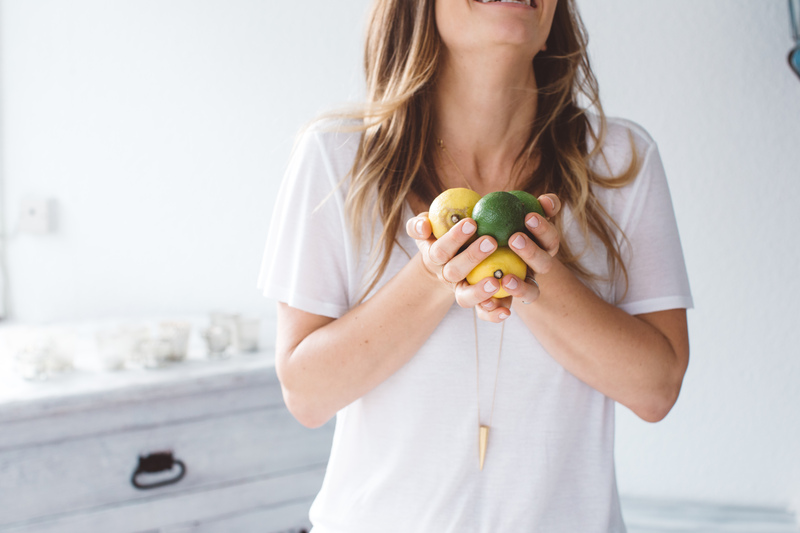 If we eat living foods, we feel more alive! -try making a juice or smoothie full of raw fruits and vegetables for breakfast or a snack. 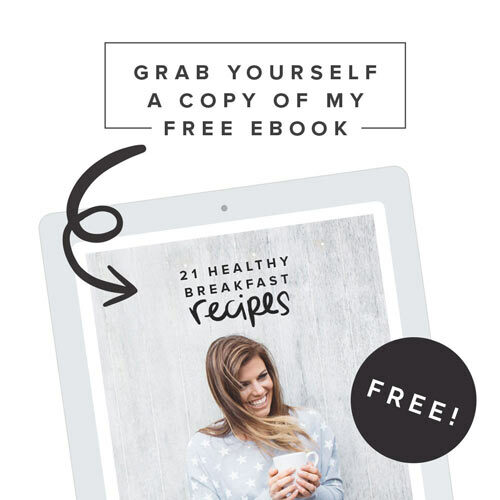 There’s lots of recipes in my free 21 Healthy Breakfast Recipes Ebook. 3) Get outside. After spending the winter indoors, it’s great to get outside and get some fresh air and vitamin D from the sun. -Instead of going for a coffee or drink with a friend, meet and go for a walk – you get to catch up and exercise! 4) Scrub a dub dub. Exfoliate your skin. Get rid of the hardened dead skin from the winter and get silky soft skin that’s ready to be shown off in shortsleeves and dresses. In addition to giving you silky skin, exfoliating and dry brushing are great for increasing circulation and activating the lymphatic system. -Try dry brushing before your shower. 5) Eat lighter meals. As the weather starts to get warmer, start moving away from the heavy, more fatty meals of winter. Try lightening up your meals with more fresh and local ingredients. Add fresh herbs, leafy green vegetables, and lighter sources of protein like fish or beans to your diet. Eating a light and early dinner, will allow your body to do the things it is supposed to do while you are sleeping like restore, repair and renew, so you can wake up feeling fresh, rather than spending the night digesting and waking up tired.